At the beginning of 2017 I committed myself to increasing my charitable giving. 2017 was a landmark year and I’d be naive to think that I got here by myself. No matter how much hard work you put in, there’s always someone who helped you along the way, and I feel it’s my responsibility to pay it forward. I’m also an avid runner and in 2017 I made it my goal to donate $1 for every mile I ran. That motivates me to get out and run on days when I don’t feel like it, because I’m not just doing it for myself. It’s no secret I’m a data nerd, so I use GPS and Strava to map out all my runs, and the mileage is recorded. In 2017 I ran 580 miles, primarily in and around Philadelphia. 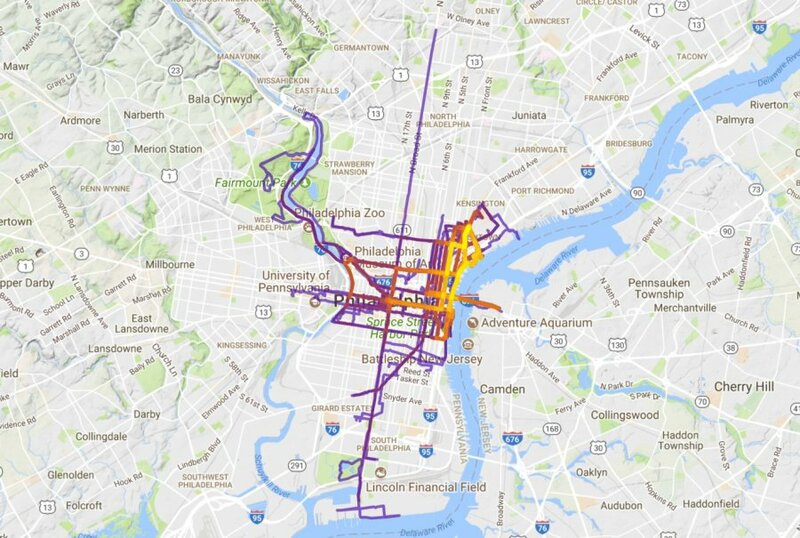 This heat map shows where I ran the most, often with the Fishtown Beer Runners, my running club, which I’m proud to say also does a lot of fundraising and charity work. Most are straightforward. 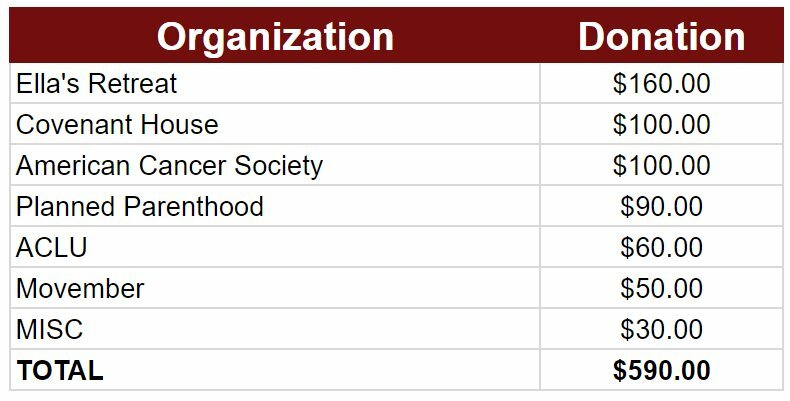 The two top organizations are local to Philadelphia. Ella’s Retreat is a 501(c)(3) non-profit organization that provides lodging for families with children receiving proton therapy treatment at the Children’s Hospital of Philadelphia (CHOP). Covenant House Philadelphia offers housing and support services to young people in need, especially the homeless, runaway and trafficked. While my 2017 running mileage was lower than 2016 (803 miles) I look forward to 2018 and making a run (pun intended) at the 1,000 mile/$1,000 mark.